Work on the next REGUA field guide, Observation Guide to the Butterflies of the Serra dos Órgãos, is progressing at good pace, and with it lots of new knowledge about the local butterfly fauna, together with some novelties, new records from guests, volunteers and visitor’s photographs have been consistently pouring in. One notable rarity was found by Duncan McGeough, a volunteer from Germany in October 2013, just 30 metres from the REGUA office. Ortilia polinella (A. Hall, 1928), a crescent butterfly, is a cousin of the Glanville Fritillary Melitaea cinxia from Europe. Known from less than a half-dozen localities in the Brazilian states of Minas Gerais, Rio de Janeiro and Espírito Santo, and also very seldom found in collections (only three females and six males in the Natural History Museum, London) this was a superb find! Adults are mainly forest species that dwell in sunlit areas like trails, clearings, forest edges, etc. It’s biology is unknown, but other species in the genus use Justicia spp. as foodplants (Acanthaceae). 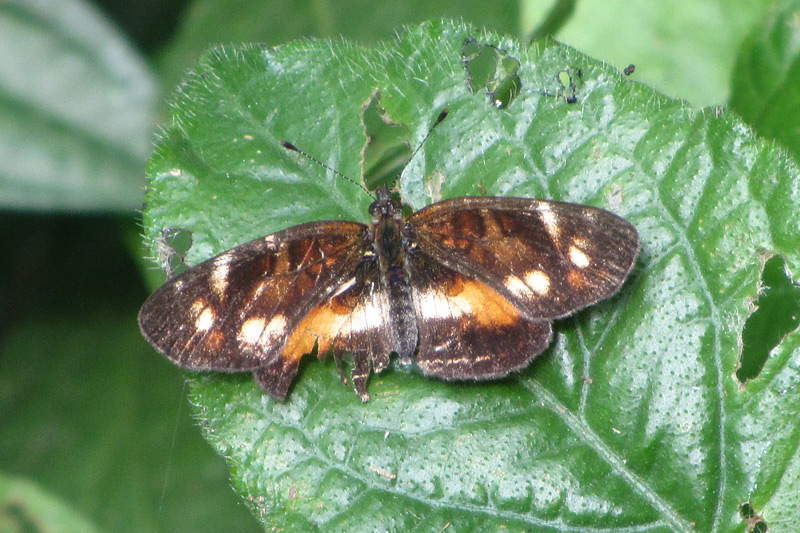 The photo depicts a worn female sun basking, probably in between short exploratory flights to find a suitable plant for ovipositing. Duncan has also helped with the creation of the REGUA moth leaflet that guests can pick up at the lodge, featuring 60 common moths easily spotted in the moth wall. One of REGUA’s objectives is to encourage a wider interest and knowledge of the incredible biodiversity of the Serra dos Orgaos. REGUA has already published three books covering Hawkmoths (2011), Dragonflies and Damselflies (2015) and Birds (2015). 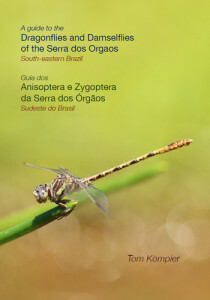 Now Jorge Bizarro and Alan Martin are working on a 4th book covering the Butterflies of the Serra dos Órgãos. This is a mammoth task and will cover about 500 species, of which we have so far written the text for Papilionidae (28 species), Pieridae (36 species) and are now working on Riodinidae. Each species text will include a description, notes on similar species, distribution and ecology plus of course photographs where available. An example is shown below. We are still missing good photographs of many of the species that will be covered in the book, so we would welcome any photographs of butterflies taken at or near REGUA which should be sent to Alan Martin at alanjmart@gmail.com. It may take another year to complete the texts, so there is still plenty of opportunity to take those pictures, and of course every picture will be acknowledged if used. In August 2007, Peter Hughes from the British newspaper the Telegraph visited REGUA to find out more about the project and to see for himself all the hard work we are doing. To read the article, Reassembling Eden, click here. Simon Barnes from the Times and John Burton from the World Land Trust visited REGUA to report on something positive happening to rainforest. To read the article Good news from the forest by Simon Barnes click here.